oh hello, love! 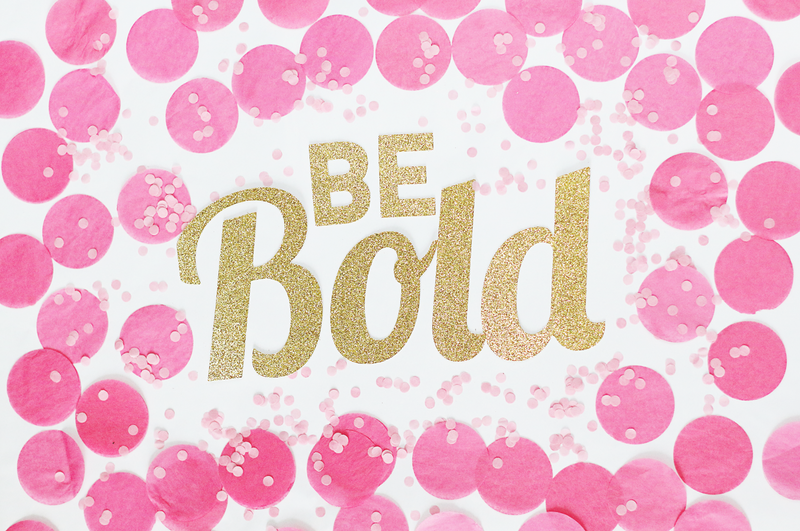 : Be Bold. For the past couple years, I've been playing along with Ali Edwards' One Little Word, where she selects a word that will be a focus point for her throughout the year. I love making lists and having specific goals, but I also love this idea of allowing one word to guide you and inspire you during the course of the year. For 2014, my word is bold. I want to try things before I'm ready and have the confidence to know that it might not turn out perfectly but it will turn out. I want to make mistakes, learn from them and do it better next time. I want to spend hours making beautiful photos because I like to and it makes me happy. I want to start to see myself as a creative, as an artist, as a writer, as a photographer, as a boss, as a teacher. And I want to be comfortable in all those labels without thinking "but I'm not good enough yet." In 2014, I want to believe that I can. That I will. And that I should. So these past few weeks, I have. I've seen in so many blogs and on instagram and pinterest and everywhere all these photos that I love. Photos that clearly took a lot of time and energy and planning to create. And I always thought I didn't have time to devote hours to one single image and that even if I did, they'd never come out how I saw them in my mind because I'm just not ready. So I took photos of what was around me instead of what I envisioned because I convinced myself I couldn't. This year, I'm convincing myself that I can. And so far? I've have been so overjoyed with what I've done. I'm bringing to life these images that have bounced around in my head and my heart. And seeing them come together in front of my eyes has been amazing. These photos I created beginning with photoshop. I picked out my fonts and decided how I'd fit the words together. From there, I cut the words on my cricut. Then I placed them on a white background, arranged the confetti, asked a friend to hold up a reflector and snapped away. In a few hours, what I'd seen in my mind came to life. So this year, I'm going to continue being bold. Believing that I can and that I should. Love it! 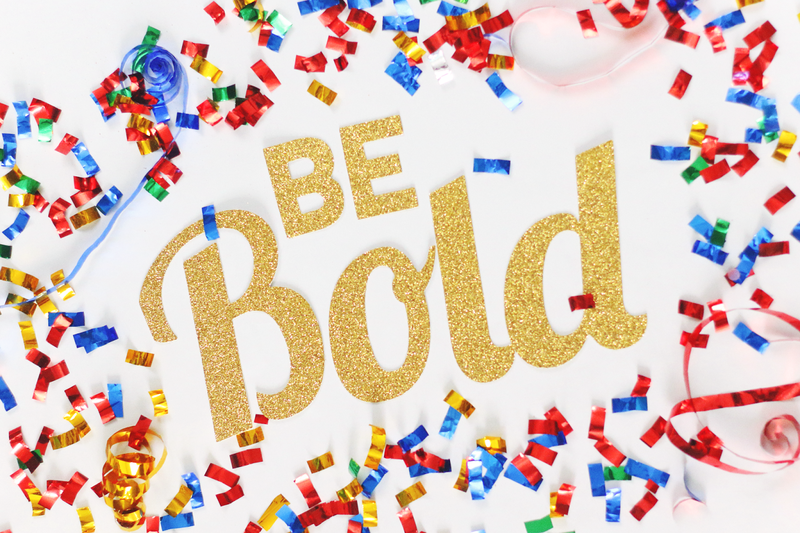 Go ahead on and be bold!